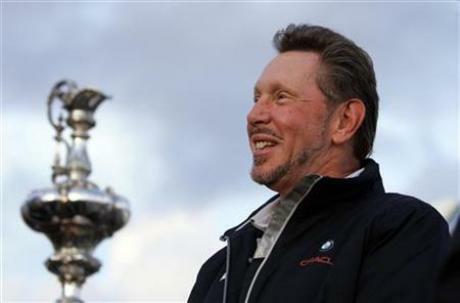 Reuters posted a lengthy and detailed story on Oracle and Larry Ellison today. As usual, whenever someone talks to Ellison, there is plenty of dirt. In this story, Ellison dishes on former Sun CEO Jonathan Schwartz, basically saying he wasn’t a good CEO, and forecasts the future of Oracle hardware. Ellison criticizes Schwartz at length in the story, saying he spent too much time on his blog and not enough time managing the company correctly. Ellison added that the sales deals Sun made — and the commission structure around them — were often nonsensical. In some cases, Sun would lose $1 million on a deal. And the salespeople were making commission on the size of the deal, rather than the size of the profit. This, of course, is no surprise to any Oracle watchers. Oracle has always been about extracting big profit margins whenever and wherever it can. That explains the reason why Ellison and Oracle are pushing Exadata and Sun’s Sparc-based servers over commodity x86. It makes more money, even in a declining Unix market. Ellison details why Oracle dropped Sun’s “Rock” processor, a yearslong project that encountered multiple delays and never got off the ground. According to Ellison, it ran too slow and ran too hot, and was basically a time and money sink. Ellison said Oracle would be “pruning” down its x86 server line and will continue to push its stack strategy hard. It plans to unveil more Exadata-like products this fall at Oracle, including one that includes the yet-to-be-released new group of Fusion applications. It already announced Exadata 2 last year, a Sparc-based box built for data warehousing and OLTP. Whether it succeeds is a question, as it only sold about 20 of its previous HP-based Exadata appliance.